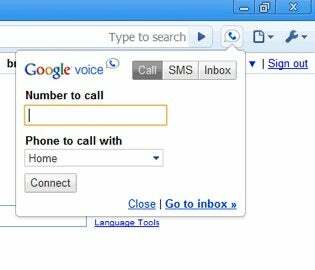 Yesterday Google updated their Google Voice extension for Chrome, allowing Voice-heads to call numbers directly from their browsers. If you love Google or hate retyping phone numbers, this one's for you. One of the great things about upgrading to a smartphone years ago was that all numbers were links. The updated Voice extension for Chrome allows for a similar streamlining in your browser. The extension basically just turns phone numbers into clickable links, eliminating the need to cut and paste them across windows. It also adds a phone icon to Chrome, letting you quickly place calls and choose the number from which you do so. While it's a nice step towards a lazier future, there are some caveats. Mac users, for example, will need to install the latest Chromium build, not just the regular old Chrome, to gain the functionality.